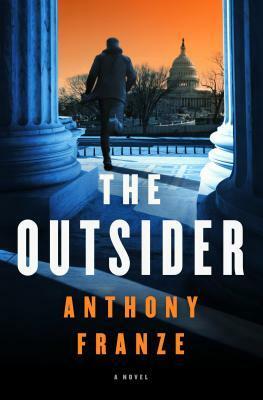 From the very start of Anthony Franze’s latest thriller, The Outsider had me hooked. Get a copy and set aside some time. You won’t want to put this one down. It’s a twisting, complicated plot that will shock and delight at the same time. It’s exciting, fast paced, and well written. 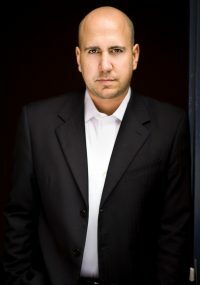 This author writes a compelling legal thrillers that give a back room view of the undercurrents and deals that happen in a courtroom. Even more captivating is that in this case it is within the Supreme Court, where much seems secretive until the decisions are shared. An attorney is working late one night, at peace knowing her daughter is home, safe and content with her grandmother. Until she receives a video on her computer showing them bound and gagged. A young woman, is beaten to death, in a local store. Grayson Hernandez, a young lawyer from a ‘fourth tier’ law school, works in the Supreme Court– but only as a messenger. Then one day, leaving work, he rescues the Chief Justice of the United States Supreme Court from an attack. What follows, leads Gray on a path that may bring great success or cost him his life. The Chief Justice makes him a Supreme Court clerk, one of the most prestigious positions a new lawyer can achieve. But Gray is indeed the outsider, even working along side the other ivy league clerks. The tension between them, the possibility of a relationship with a clerk on the team, the complicated cases he helps research, all add to the complexity. Then the FBI contacts Gray, asking for his help, drawing him into the investigation, with clues that only he may decipher. What they lead to seems impossible. Mr. Franze has a new follower. After reading my first book by him, The Advocate’s Daughter—and thoroughly enjoying it—I was anxious to read this one. A lawyer himself, working in the Supreme Court in DC, the author clearly has the knowledge of the system to paint a realistic view of the court and its processes. At the end of the book, he includes details on the reality and the created parts of the book. The characters are well developed, the dialogue very natural, and the suspense compelling. As with The Advocate’s Daughter, he takes the reader into the world of the Courts with an unusual angle that is intriguing and enlightening. Unlike many legal thrillers, much of the time is spent behind the scenes, rather than in a courtroom itself. What a great find! If you enjoy a solid mystery, you will want to read this! We received a copy of The Outsider as part of the book tour hosted by Partners in Crime Book Tours. Anthony Franze is on tour from March 21st to April 21st, 2017. Check out the tour information below to learn more! Catch Up with Anthony on his Website 🔗 & Facebook 🔗. I have this book in my TBR pile and after reading your review, it just moved up in the pile.